They have said repeatedly in the manga "alkanphel wants the guyver for himself". It's not so much power - he needs the unit so it can heal his sickness. looking back... that was all speculation made by fans. i honestly cant remember any moment alky ever said he wanted a guyver unit. it was always the chronus who chased after it, mainly cause it was in their possession to begin with. then we learn that guyot was actively seeking them out. 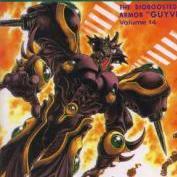 then we hear from murikami the history of the unit, and guyots plans for the guyver unit. then alky shows up and spanks guyot bad. then blasts the two guyvers to oblivion... now that i think about that, he doesnt even talk to them or about them. he just... kills them. with overwhelming force. i gotta go with bbdude. im having serious doubts on alkys intentions with the guyvers now. Im sure its in there somewhere. He needs the unit so he can break free of the creators control and their cease and desist order that he's been fighting. Maybe it's just Dr Balcus's plan for the unit. book 11 page 30 is one instance. I always assumed the Uranus confiscated it right after the last panel of the chapter. Given what had just happened, I doubt they were going to leave it lying around were any stray creature could activate it. Hell I'm pretty shore they wouldn't even allow Ark to even bring it back himself given the risk. I also wonder if he every realised the irony of his situation. He needs the very thing that ruined his life to now save it. right... the first fight between mirabilis and sho... my bad Tora, hope i didnt offend, none was intended. woe, such shame... now i'll have to go back and redeem myself by reading all the chapters over again, (sigh). see what you did? i can only guess right now until i can go back and look it up, but how much time passed from guyver 0 killing off ships and getting his guyver unit stripped away from him, to the uranus dropping a moonish meteor on their creations lap? i dont want to say it was right after, there must of been some downtime. perhaps a few hours? if so, then i can see the uranus reacquiring their unit, however... if they panicked and uprooted right away? then there could be a chance they decided it was worth the loss. i mean... they caused a global sized disaster with the intent of killing off everybody on earth... uranus bigwigs may of thought the threat of someone getting a unit wouldnt matter when you're just going to smash the planet with a giant rock to end all life. I've learnt so much by reading through it again recently. I had forgotten so much to be honest. Yes I think there was at least a couple of hours to a couple of days or even a week. 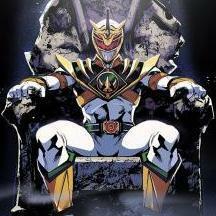 It switched from alkanphel fighting guyver 0, to alkanphel sitting on a rock, musing about guyver 0, and when the uranus spoke, they mentioned having conferred with the federation. I think that the creators probably recovered it for examination. As they are probably quite curious about the weapons that the Guyver 0 had.